Don’t bug out, but I think there’s something crawling under your hair. Normally, the first reaction I get when I inform someone they have lice goes something like, “What! Can’t be lice; we have a clean home, clean kids, clean clothes and very clean hair.” That’s when I drop the fact bomb on them like I’m about to do now. Did you know that lice actually prefer the cleanest host they can find? So nothing about these lousy critters suggests that you or your kids are unclean or that you’ve done anything wrong. However, this doesn’t mean that we should turn your home into a pig sty because of that. Like it says in the Art of War, you have to know your enemy before you can defeat them. And if you still haven’t realized that you’re at war, then you’re already in a heap of trouble. Lucky for you, you just stumbled on the best place you could possibly be for any louse-related issues. It’s Olivia’s ultimate, mother of all guides to spotting, preventing, treating, and getting rid of lice permanently. Introducing the baddest SOB out of the order Phthiraptera, lice are wingless, obligate parasites measuring about 3mm in length that live externally on mammals and birds. chewing lice that live among the hairs and feathers of the host feeding on skin and debris. sucking lice that go as far as piercing the host’s skin and feeding on blood or other secretions. Sounds disgusting right? It gets worse. A louse will usually spend its whole life on a single host feeding and cementing their eggs which are also called nits. The average lifespan of a female louse is about a month; during which she can lay up to 10 nits per day that will hatch in a week. This means that it’s very easy for an infestation to spiral out of control. Generally, humans play host to three main species of louse. 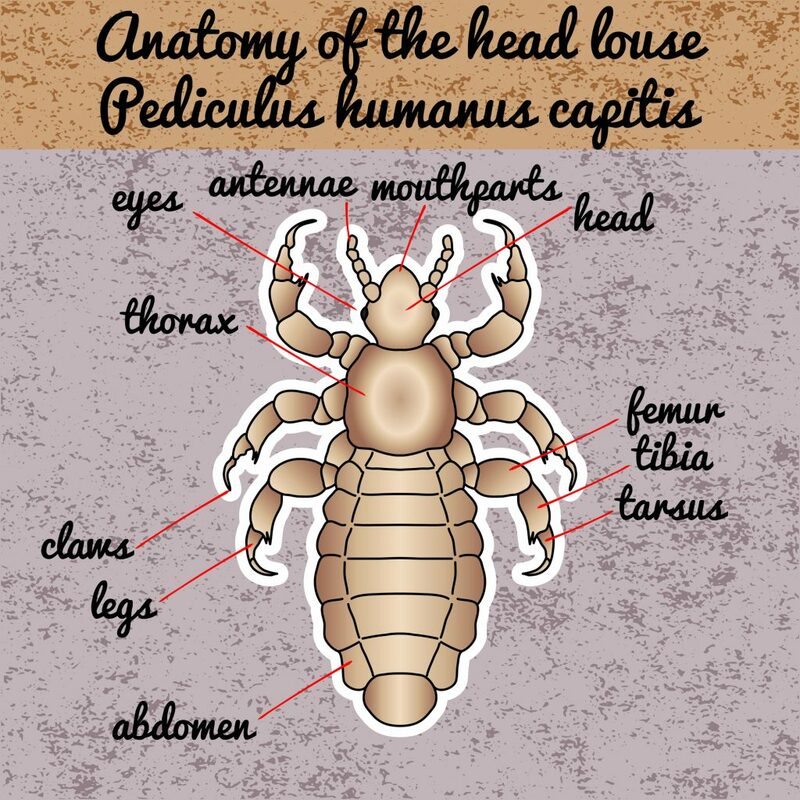 These include the head louse, body louse, and the widely feared pubic louse. So, what exactly brings about any of these three species knocking on your door? Now, even though lice have six-legs, they’re not built for long trips or jumps across hosts like fleas. That’s why a louse prefers to stick to one host all through its lifespan. However, this doesn’t mean that it can’t survive for a short time on clothing, hairbrushes, and other personal items. With all these facts to consider, then it’s very clear to see how lice can spread. The most common way for lice to spread is through direct head to head contact or sharing of personal items. Both of which will allow lice to simply crawl to a new host with ease. That’s why young children, preschoolers and kids in general are more susceptible to getting lice. Children often play together and share close contact with one another. They also don’t see any problem with sharing brushes, hats, hair clips, clothes and personal items. So you can see how an infestation could spread faster than a dry forest fire. Similarly, adults who live with children (literally most families) have a higher risk of getting lice. Now, we’ve already seen how small these little critters can get. Some of the smaller lice barely hit the 1mm mark while others are about the size of a sesame seed. This makes them very hard to spot with the naked eye. And don’t even get me started on their eggs. 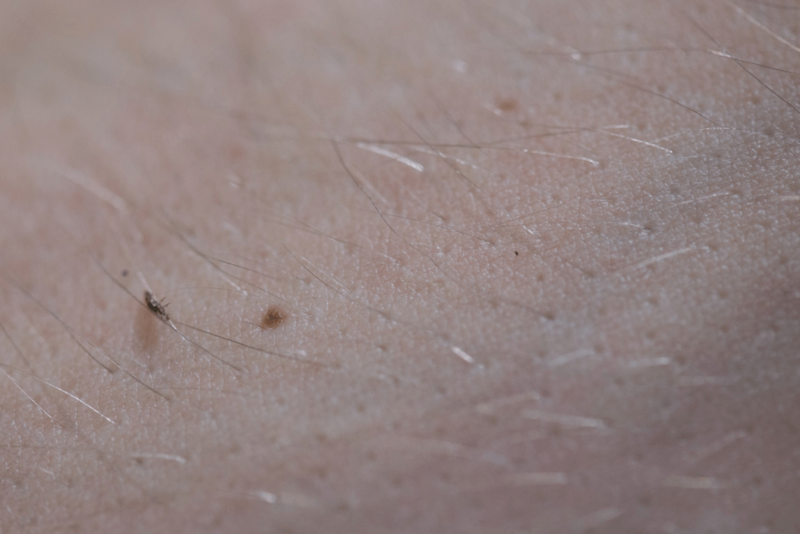 The nits are incredibly tiny and resemble dandruff to a scary degree. But unlike dandruff, these eggs are glued to your hairs, so they don’t come off easily. However, you can start by performing a visual check. Lice are usually white, brown or a darker gray and can be spotted if you look hard enough. Visually spotting a louse or their nits is often the only sign of an infestation because most people don’t experience any discomfort. When it comes to lice, just treating one person alone is not enough. In addition to a multifaceted treatment for both the critters and their eggs, every single member of the family will have to be checked and treated. What’s more, it’s important to notify your child’s school if your children have lice so that other kids can also be checked and treated to curb the infestation. Now, when it comes to lice, getting rid of these pests is not as easy as you think. To show you just how resilient a louse is, listen to this; lice can actually hold their breath and latch on to hairs even when you’re underwater. If all the lice on your body can survive hours of deep sea snorkeling without even coming loose, you can see why regular baths and shampoos won’t really made a dent in their numbers. In this bit, I’ll show you how to get rid of even the lousiest of conditions in your home. But first, wouldn’t it be better if you prevented the infestation in the first place? Since adults don’t really share clothing and personal items, it’s kids who are more likely to introduce lice into most household settings. Ideally, kids in a childcare or school setting are going to play together, and there’s nothing you can do about that. But if all parents follow these steps to preventing the spread of lice, then all our kids can play safely without fear of pests. Like any other effective preventative measure, it all starts with a little education and information. If you can teach your kids to avoid head to head contact with playmates while they are playing, you’ll be laying the groundwork for preventing many other issues. Be sure to discourage games that involve hair play or head touching too. While church teaches us that it’s good to share, here’s where you draw a line. It’s important that you and your kids understand that personal items are called personal for a reason. To reduce the chances of spreading lice, avoid sharing some clothes and heat touching items; yes, even if it’s between your own kids too. Ensure that every child has their own items and that they don’t share things like combs, brushes, hair clips, bobby pins, hats, helmets, towels, scarves, coats, headsets and even ear buds. Being at high risk of getting lice, a regular head examination would really help prevent an infestation. Check all your kids thoroughly for any signs of lice or nits at least once a week and more often than that if lice have been reported in their schools. If there’s one preemptive measure that can really help prevent a lice infestation, it would have to be this one right here. Shared spaces and belongings are often breeding grounds for lice. Consequently, putting all your family’s clothes in the same drawers, lockers, or closets only creates an easy opportunity for the lice to pass from one person to the other. But if every person has their own drawer or closet where belongings won’t touch, then you will drastically reduce the chances of spreading to another person in case anyone has lice. Once you find the slightest symptoms of a louse infestation, it’s time to sound the war drums of the little bastards. I’ll give it to you straight; lice will not go away on their own. Given their nature of sticking to one host and some of the toughest resiliency I’ve seen next to a roach, you can bet that getting rid of an infestation won’t be easy. The biggest mistake most people make is to waste money on extravagant lice cures that only prove to be more useless than effective. 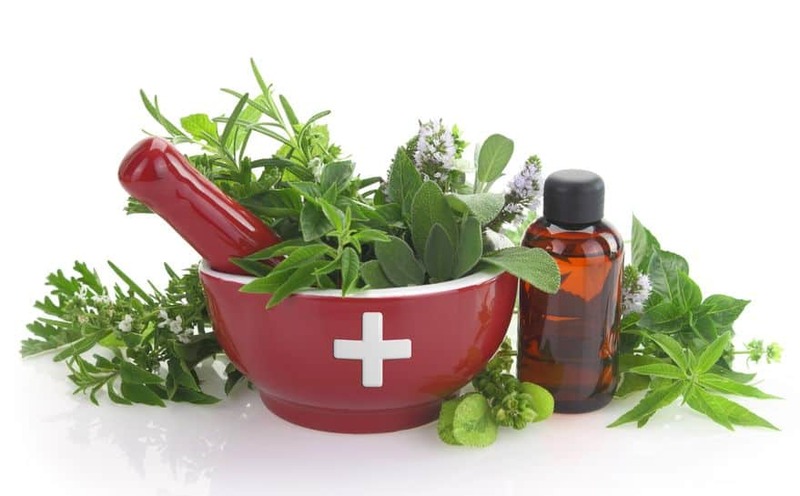 That’s why I’ve listed down all the different cures available for different preferences as well as some affordable home remedies for budget conscious people. So if you’re tired of dealing with lice all the time, here’s how to get rid of them for good. Permethrin based rinse creams such as Nix which are an excellent first option for head and pubic lice. The creams kill off the lice and their eggs for as long as 2 weeks after application. There are also shampoos containing piperonyl butoxide that are left on the hair for a few minutes and then rinsed out. These ones also work great at killing lice but require regular use. Benzyl alcohol is also prescribed for treating head lice. It can be applied to the hair and left overnight for maximum effect. Malathion lotion or Ovide, Ivermectin, Spinosa and Lindane can also be prescribed to eliminate a severe lice infestation. There are a myriad of home treatments for lice that we will look into later on. However, there’s one particular treatment here that can’t quite be classified under any category. If your biggest problem is head lice, you could buy an electric combdesigned to kill all the lice and nits in your hair. The combs deliver minuscule amounts of electricity that destroys any lice, nits, and other pests that might be making a home in your hair. The electric lice comb should be used every day until all signs of lice, and their eggs are gone. Aptly termed as nature’s protective mechanism, this might just be the best solution to lice and any other pests or parasites bugging you. 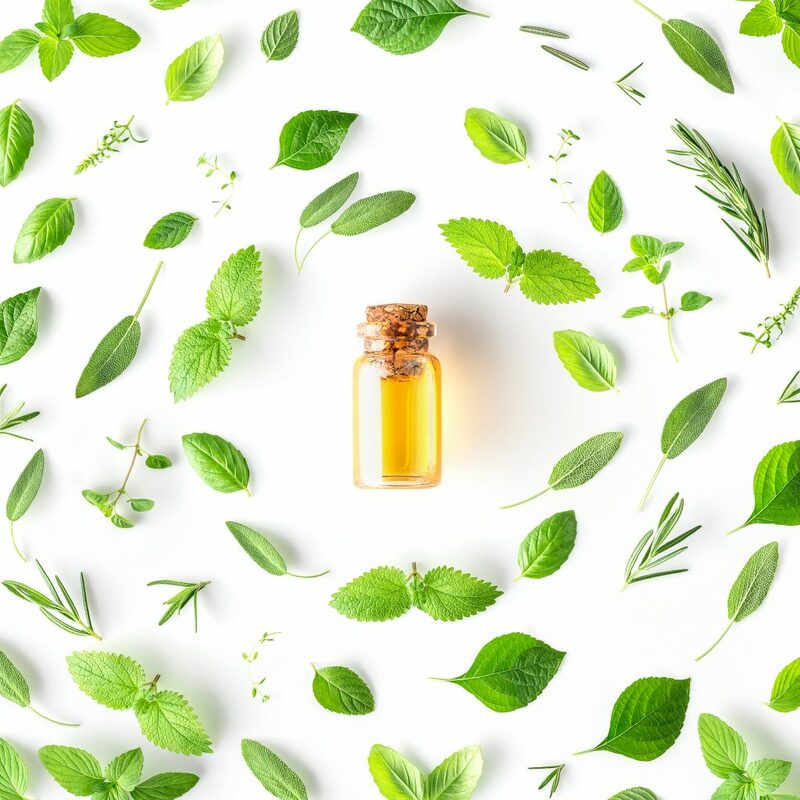 As you already know by now, essential oils are highly concentrated liquids extracted from botanicals and plant matter. These oils are considered to be a composition of plant’s immune system. 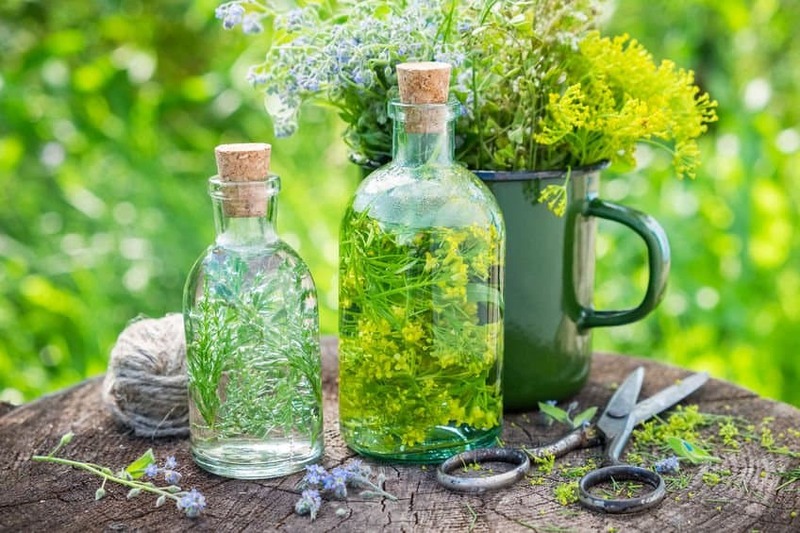 And when the plant is alive, these oils perform crucial roles such as antibacterial and antifungal activity, deterring insects and animals, keeping competing vegetation at bay and loads of other functions. However, there’s one particular element that makes essential oils natural lice killers; and that’s monoterpenes. These are chemical compounds that wreak havoc on insects’ nervous systems killing them dead on their tracks. Other essential oils even have robust insecticide properties that work over a broad range of insects. 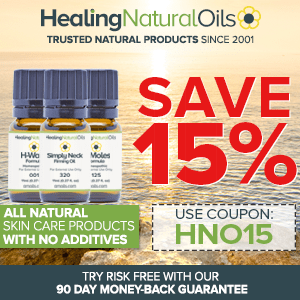 Combine all these benefits with the fact that essential oils also contain healing properties and you have the ultimate prevention, treatment, and cure for lice. I know you’re eager to hear all about these oils, so let’s jump right to it. I’ve actually performed my own tests using a myriad of essential oils to find the most effective ones. Literally dozens of essential oils can be used to prevent and kill lice, but I’ve only chosen the ones with a success rate of 90% and above. Hey, I know some of these oils can be really expensive, so it’s better if you get it right the first time round. So, here are the top 5 essential oils for lice. When it comes to lice in particular, Tea Tree essential oil is the holy grail of poisons to these little suckers. According to my trials, this bad boy killed off 100% head lice at just 1 percent concentration. If you have kids, this oil is a staple that any parent should always have at hand. First off, tea tree oil contains cineole, terpinene; both used in some OTC live treatments. Secondly, this wonder-oil acts as an anti-fungal, antimicrobial, antiseptic, fungicide, stimulant, sudorific and insecticide. So basically, it helps clean out any bites after killing lice and their eggs while effectively alleviating itching, scratching and inflammation from lice. There’s more than good reason why every essential oil collector will always have a bottle or two of this stuff. Lavender oil is quite the powerful juice; it’s anti-inflammatory, analgesic, antiviral, bactericide, calming, nerving, sedative. Simply put, this means a lot of dead lice as well as relief for itchy and inflamed scalps. What’s more, Lavender oil contains components that actively prevent louse eggs from hatching and multiplying. According to my trials, Lavender essential oil had a 98.7 percent success rate for killing lice. Eucalyptus extracts are without question some of the best materials on earth for pests, bed bugs, and insect bites. The oil’s antiviral, anti-inflammatory, antiseptic, antispasmodic, diuretic, cicatrizant, detoxing and insecticide properties make it an ideal weapon against these six legged dandruff wannabes. However, I wouldn’t advise you to use this particular oil on children under the age of six. My research showed that Eucalyptus oil was 96 percent effective against lice. When it comes to preventing and managing lice, lemongrass packs a lot of desirable properties. Apart from having insecticide properties that make it a natural insect repellent, lemongrass oil also has a strong aroma that is quite unpleasant most insects. When used topically, lemongrass essential oil also works wonders for soothing itches and calming irritated louse hotspots. So while lemongrass itself won’t kill off all the lice, it will definitely convince them to leave you, your hair and your home alone. I’m sure you’re wondering what peppermint is doing here. Now, while it is not known as an effective repellent, but it wouldn’t be smart of us to just chase away the lice and ignore their effects on scalp and skin. Peppermint works wonders for the inflammation and irritation caused by constant bites and itching. You can grab a few of the above essential oils in the L’orpur Organic Kit – free bag and recipes included (PDF). For this concoction, you’ll only need about three of the above essential oils. Mix 18 drops of your 3 favorite oils with 1 ounce of rubbing alcohol. Apply to lice infested area with cotton balls and leave overnight for at least 10 hours. Comb out in the morning, shampoo, then rinse it out and repeat until every louse is dead. Mix all the above essential oils with water and pour into a spray bottle. You can spray on your hair every morning as a preventative measure against lice or use it at night and comb out in the morning to remove lice. This blend doesn’t need to be rinsed out. Combine all the above essential oils with an ounce of coconut oil and work over your scalp thoroughly. Cover with a shower cap and leave overnight. The essential oils will help stun the lice and dissolve their glue while the coconut oil will help smother them. One way to keep you and your kids safe from lice is by preventing it with a daily shampoo. Simply take your typical bottle of shampoo and add the above essential oils in. Mix thoroughly and encourage everyone to use daily. Mix all the above essential oils with 5 ounces of rubbing alcohol and add the water. Pour into a spraying bottle and use on your hair as often as you can as both a preventative and curative solution. Just because you don’t know the first thing about where to get essential oils or can’t afford the medical options doesn’t mean that you and your family should suffer in silence. There are plenty of other simple ways you can apply to get rid of lice. And what’s more, they beat putting chemicals on your child’s head. I’ve done the hard yards and compiled some of the best but often messy home remedies for getting rid of lice. When it comes to home remedies, smothering lice is the most natural and widely used approach in the world. Basically, it involves applying certain compounds to the infested area with the aim of suffocating any and all lice. Some of the most popular products that you could use to smother the lice include butter, mayonnaise, olive oil, coconut oil and petroleum jelly. Smothering is a pretty reliable solution and as a bonus, any louse that survives is usually stunned enough to just fall off after some combing. Basically, wet combing involves applying conditioner to wet hair and using a fine tooth comb or lice comb to clear the hair of nits and lice. Some people prefer to coat the hair with almond oil and rinse out later with hot water. After using your nit combs, make sure you soak them in 10 percent bleach and 2 percent Lysol for half an hour to kill any organisms. When all else fails and the lice just keep coming back, shaving all the hair is a foolproof method of getting rid of head and pubic lice. Since lice require some hair, fur or feathers to latch onto, maintaining a well-shaven surface means that there’s nothing for the lice and their eggs to attach to. Once you shave, put all the hair in a sealed bag and throw it out immediately to prevent lice from spreading. Research shows that lice can live off a human body for up to two days while the eggs for up to 10 days. This means that these lice and their nits can be found in plenty of other areas in your home at a given time. So while you’re also eliminating lice on your head and body, it’s important to remember other common hotspots. Start by washing all your bedding, towels, and clothing in hot water at least 130 degrees Fahrenheit followed by a hot cycle in the dryer for 20 minutes. Similarly, vacuum all your rugs, carpets and upholstery and dispose of the vacuum bag. If there’s anything you can’t wash, get it dry cleaned and sealed off for about 72 hours to ensure any surviving lice die off. There you have it readers; the ultimate guide to dealing with lice. With this information, preventing and treating a lousy situation around your home is that much easier. It might be a time-consuming process that you’ll have to do over and over again. But it will be worth it in the long run. And remember; lice are not a scourge of the lower class or a sign of poor hygiene. All it takes is a few moments of contact, and it’s an entire infestation on your head. So keep an eye out for lice, educate your kids on the importance of keeping personal products personal and most importantly, always have some essential oils at hand when the time comes. I wish I knew about essential oils when my daughter was in school 25 years ago. I spent a small fortune on lice treatments and hours worth of labor back then on several occasions. Well maybe my grand children can benefit from this newfound information. GREAT ARTICLE! My pleasure. Sure, put the recipes to good use for your grand kids if required.